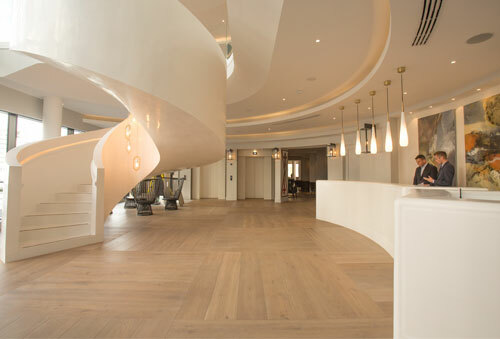 Introducing lifestyle luxury to the marina and city, Southampton Harbour Hotel & Spa has transformed Ocean Village with its striking super-yacht inspired design. Featuring stunning contemporary interiors, alongside the group’s award-winning restaurant and spa brands and the city’s most exciting rooftop destination bar, the hotel’s unique design reflects Southampton’s thriving marine culture and offers a gateway to the beautiful Solent. On the ground floor, The Jetty restaurant, already an award-winning concept drifts out onto an extensive outdoor terrace, featuring luxury relaxation pods to take in the marina views. A further large open plan lounge provides the perfect setting for informal drinks and dining. The top floor features ‘HarBAR on 6th’, a spectacular rooftop destination bar, kitchen and club, with outdoor fire pits and a wood fired pizza oven. Head here for great cocktails, relaxed dining and the most stunning sunset views. 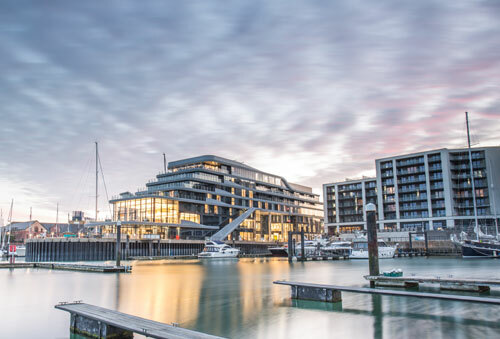 The Jetty features an outdoor terrace with luxury relaxation pods to take in the marina views. ‘HarBAR on 6th’, is a rooftop destination bar, kitchen and club, with a wood fired pizza oven. With walls of glass to soak up the marina views, the space will feature contemporary design and capacity for 200 guests. There is also a number of smaller, flexible spaces available. Parking information: Parking available on site complimentary for 38 cars. Additional parking available in nearby secure car park, all free of charge. The HarSpa has 7 luxury treatment rooms, indoor pool, hydrotherapy plunge pool, sauna, steam and mud room. There is a large gymnasium with adjoining studio for classes. There will also be a cinema room showing a selection of movies throughout the week for residents.